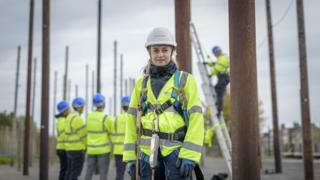 The Openreach jobs will be in locations throughout the country working to expand and upgrade the firm’s network. It includes 48 posts for the Glasgow area, 38 for Edinburgh and the Lothians and 34 for Aberdeen city and shire. There will also be new posts in Dumfries and Galloway, Stirling, Ayrshire and Perth and Kinross. It highlights the continued growth of the company, which last March announced plans to hire 400 trainee engineers across Scotland. Around half will be helping to deliver the company’s Fibre First programme to introduce faster technology.